It is a high time to serve your clients with the cutting edge technologies, providing immediate deliverables with uninterrupted communication means. Efficient Communication is the need of the hour and clients expect less turn around to resolve their queries with uninterrupted communication. Communication has grown leaps and bounds in last few decades. The emergence of technological advancements has resulted in many new methodologies. One out of it the use of Unified Communication Solutions. What makes Unified Communication Efficient? Customer is the king of market. To satisfy the end user is the motive for all companies these days. 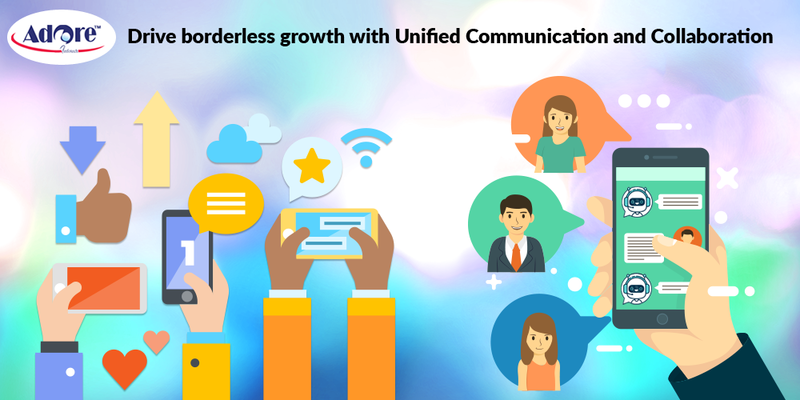 Unified Communication refers to a phone system that unites multiples methods of Communication. It unites the various ways used within Business For example, phone calls, video conferencing, instant messaging, email, SMS fax etc. It brings together all the ways and let them unite as if they talk to each other as one system and results in more effective and efficient catering of Business needs in terms of Communication. Unified Communication is also integrated with Email, Web Application, Social Media and Business tools e.g. Customer Relationship Management (CRM) system. UC Solution combine Business Phone System, Voicemail, Instant Message, Chat, Fax, Conference Call Bridge, Video conferencing, IVR just like your smartphone as it combines many function. A quick sharing is required these days. It has given a rise to the urge of getting effective communication solutions. With the help of effective communication solution it becomes easy to under the requirement of the customers and to give them solution that leads to their satisfaction with integrate communication solutions. The technological advancement is growing at a rapid rate. Availability of internet has made the globe small. This advancement has paced up the expectation of the users and a requirement for a need of immediate of intensified resolutions in short span of time has increased with uninterrupted communication solutions. It is Time to take extra miles to serve the customer with rich and effective services. Adore Infotech is has emerged adopting the cutting edge technology and is catering standardised services to serve business needs. We have increased reach and flexibility with Unified Communication Solutions We have easy architectural approaches that can be managed with ease and delivers, simply end users experience from single administrative view. This also helps managing multi-locations. We at Adore Infotech use effective technologies for collaborations inside out and have made the world small. We use tools that foster the amplification of business and also look towards the futuristic prospects. We are a team of experience professionals who are committed to deliver and have developed standard architectures for enterprise collaborations. We have powered SIPs to provide connectivity for business applications. We provide full support starting to end and are also engaged in designs, consultations which result in increase in the revenues.